wanted to give u guys a nice easy map to see where we'll be this weekend at Emerald City Comicon! 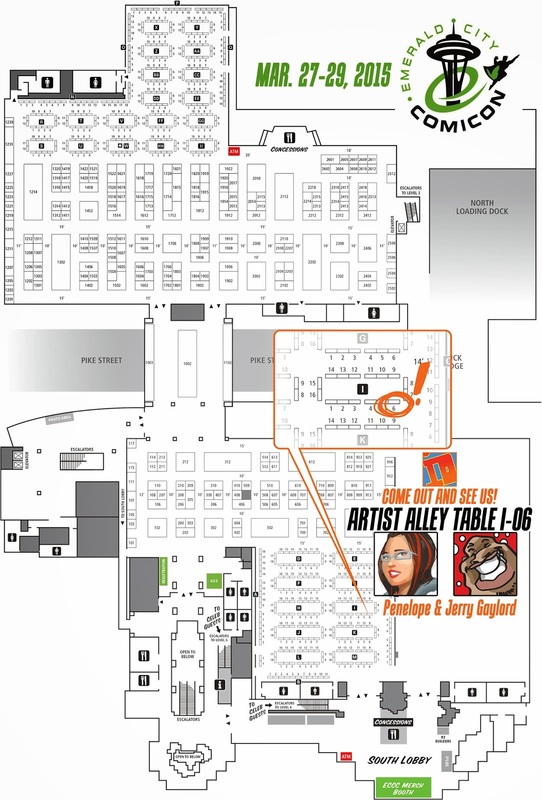 come and see me & the hubby Jerry "theFranchize" Gaylord in Artist Alley TABLE I-06 from Mar. 27-29th. we'll have comics, prints, and artbooks. and of course we'll be doing sketches all weekend long. we're so dang excited to be back in Seattle. it's such a pretty city!